May 31, 2016 10:13 am. 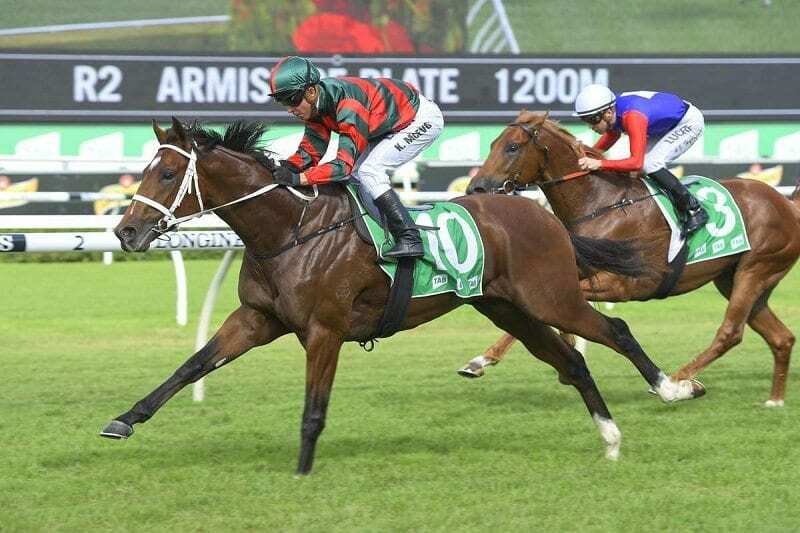 The J.J Atkins is a two-year-old race which usually runs at Eagle Farm in mid-June. The set-weight race is over the 1600m journey and there has been a good mix of short-priced and long-odds winners over the past 10 years. The top two-year-olds in the country typically target the Blue Diamond and Golden Slipper Stakes, which dampens the field for the J.J Atkins, but the race suits the late-maturing youngsters which compete well later in the spring. Some of the past winners include Sizzling, Lovely Jubly and Zeditave. The likes of Brazen Beau and Hot Sniztel would later evolve into top thoroughbreds, but they were unable to win as the favourite in the J.J Atkins. There are no odds available for the 2019 JJ Atkins. Horse Betting will update this page as soon as markets open. Markets for the J.J Atkins will usually open in early May. Most bookmakers have to wait to see what nominations are received and then they will frame the market. Once the market has been framed, the bookmakers will offer all-in markets which give punters good odds, but there is risk of the horse not starting. Many punters prefer to wait for the fixed odds market which gives you your money back if you horse doesn’t start. The following bookmakers all have J.J Atkins markets available. Chris Waller gun in the making The Autumn Sun came into the 2018 J.J Atkins as a key market elect but there were a few doubts surrounding the two-year-old colt. The gun prospect kept the unbeaten streak intact however, coming down the outside to secure a powerful win ahead of stablemate Zousain and Lindsay Park multiple time group place-getter Fundamentalist. All the talk was about odds-on favourite Melody Belle, but it was Capital Gain which ran away with the J.J. Atkins victory in a stunning upset. The Paul Butterworth-trained runner was specked at odds throughout the week after Butterworth talked up his chance, but most of the punters money was lobbed onto the New Zealand filly which was a disappointing flop on the good surface. Read the race report here. New Zealand two-year-old Sacred Elixir showed its class when destroying the field by 3.5 lengths. The Tony Pike-trained gelding entered the race as one of the favourites after good juvenile form and it loomed up to the opposition in the straight with ease before kicking away powerfully. Two long-shot chances finished in behind which made for big quinella and trifecta payouts. Held at Doomben, the 2015 J.J Atkins featured one of the best fields as Chris Waller lined up three runners. He lined up impressive winner Press Statement which continued to win major races as a three-year-old and also Counterattack (7th) and Feast For Eyes (9th). The son of Hinchinbook paid $6.50 for the win which was a great price with the race-favourite Bassett finishing in fifth position. Gai Waterhouse scored another major two-year-old win with Almalad which wasn’t the favourite, but was still well-backed in the market. The gelding paid $3.80 and defeated future champion Brazen Beau on the line. It fought back strongly after Brazen Beau took the lead and Tommy Berry continued his good run. Apart from Brazen Beau, the beaten horses didn’t amount to anything, but the win is considered one of the toughest in recent history. One of the better fields in recent history, the 2013 field contained the likes of Romantic Touch, Zoustar, Vilanova, Sir Moments and Hooked. Gai Waterhouse scored another victory, this time with Nash Rawiller in the saddle, with the son of Northern Meteor which went to the front and kicked strongly to hold off the impressive Zoustar. Romantic Touch was the firm favourite to win, but Zoustar was the unlucky runner and would later have a stellar three-year-old campaign. Sizzling was well-liked by punters and won as the $1.60 favourite. The son of Snitzel didn’t have all the luck in the running and was forced wide around the home turn. It chased hard and eventually ran down Kabayan on the line. The field was good with Academus, Toydini, Ninth Legion and even Boban, which finished last in the 13-horse field, all lining up. Sizzling was the shortest-priced favourite in recent history and it would take a smart two-year-old to rival that price in the coming years. Benfica won for Peter Snowden in 2011 with a professional victory. The colt by Lonhro settled forward in a prominent position and it chased down Hot Snitzel and Fontelina which was found lame after leading throughout. Benfica paid $4.50 in the betting and was well-liked, but the hot favourite was Hot Snitzel which did plenty of work in the run and fought on strongly for second.